Back in 2008, Chris Wanstrath and his friends found the process of coding together to be tedious and tiresome. There simply wasn’t a way to build software as a team online — so they decided to build one for themselves. Like many legendary companies, GitHub began as a side project built to solve a deeply felt personal problem. The founders were inspired by Gmail to make the project a private beta and open it up to others — that’s when it caught fire. From the beginning, GitHub has been a collaborative platform for developers, built by developers. When coders are asked about their work, they don’t send you their resume or LinkedIn profile — they send you their GitHub profile. When coders get dressed, they don’t don Nike or GAP, they throw on a GitHub t-shirt. Not many tech companies produce swag as sought-after as that featuring the Octocat. And that’s because GitHub is far more than a product. It’s a beloved home for millions of software developers, most of whom encountered their very first line of code on GitHub.com. GitHub democratized programming through social coding. Gone are the days when a computer science degree and a job at a software company with decent infrastructure were prerequisites to building anything meaningful online. GitHub powers a community of open-source developers driving the boom in software application development through its social approach to coding — an open approach that has transformed the software industry. When we first met Chris and the GitHub team, we were floored by their commitment to growing their graph of developers, whose 78 million repositories now power much of the internet as we know it today. These developers — and the 500 terabytes of software they have created — have become part of the definitive system of record for code. This growth is a direct result of GitHub’s indelible belief that the number of developers and repositories on their platform is more important than the number of dollars in their bank account. And in minimizing monetization — like Facebook, LinkedIn, Instagram, and WhatsApp before them — GitHub not only grew the graph exponentially, but built a loyal community of devoted users, from freelance developers to titans of technology. Even long-time open-source holdouts — Google, Apple, and yes, Microsoft — have embraced the platform. 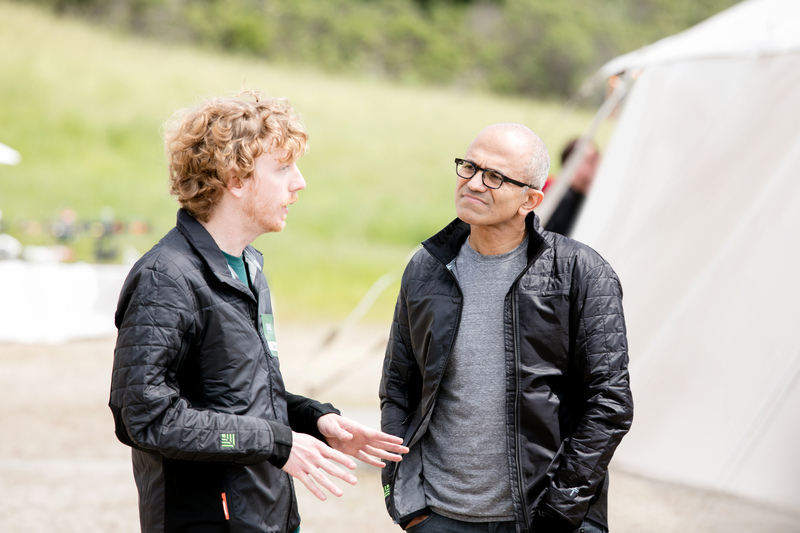 From the moment we introduced Satya Nadella to Chris at Sequoia's first Base Camp in 2016, we saw the potential for a wonderful relationship between Microsoft and GitHub. 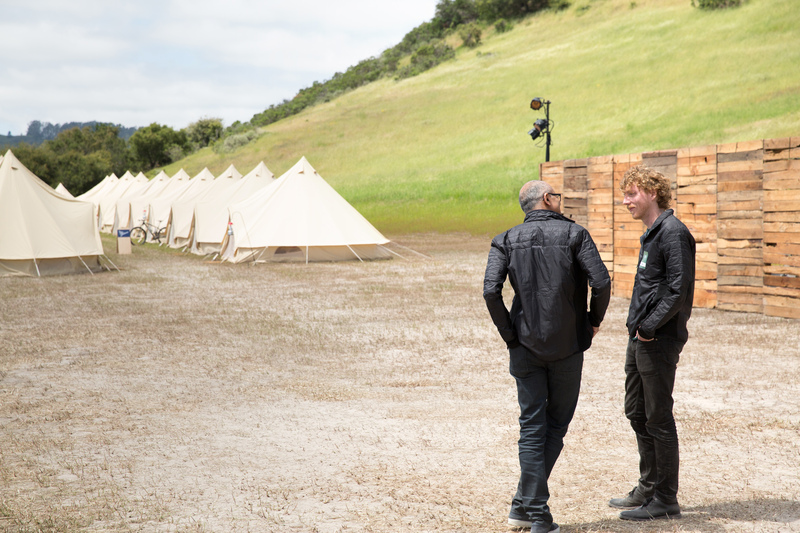 Satya and Chris immediately aligned around the potential to grow the economy for the developer community. Similar to the way in which Apple pioneered a new developer economy by allowing them to reach consumers through the App Store, Microsoft’s global corporate relationships pave the way for the expansion of the developer economy into the enterprise. Microsoft’s decision to keep the platform independent is vindication not only for early adopters of open-source, but for all companies, big and small, who believed in the idea that one day in the coding world, synergies would replace siloes. Most importantly, Satya understands that GitHub’s value to the developer community is rooted in openness. We are confident that under Nat Friedman and Satya’s stewardship GitHub will remain dedicated to empowering every developer to collaborate and innovate, fueling success for GitHub in the years to come. Today’s announcement is incredibly exciting as GitHub moves on to the next phase of growth and innovation. We’re thrilled for GitHub’s founders and employees, for GitHub’s early supporters like Peter Levine at a16z, whose transparency and wisdom led a productive board dynamic, and for everyone at Microsoft. But this isn’t only a milestone for GitHub’s founders and partners in Silicon Valley and Redmond. This is also a landmark moment for every developer with an idea and a keyboard — especially the 28 million developers on GitHub who have invested millions of hours in writing and constantly improving the most impressive collection of code in human history. On behalf of Sequoia, congratulations to Chris, the entire Github team and developers everywhere.